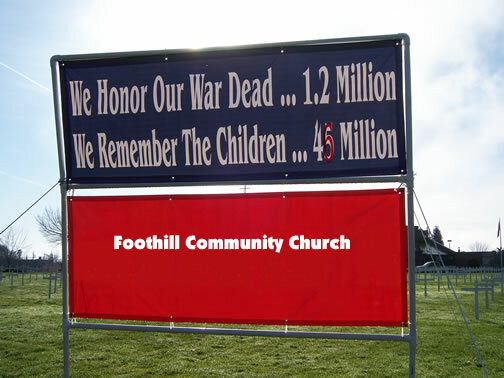 "'We honor our war dead ... 1.2 million ... We remember the children... 46 million'. 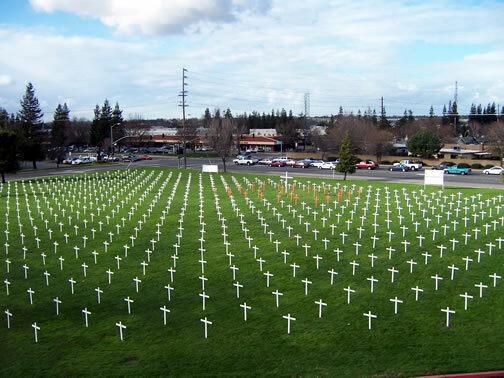 Each cross represents 50 thousand lives. 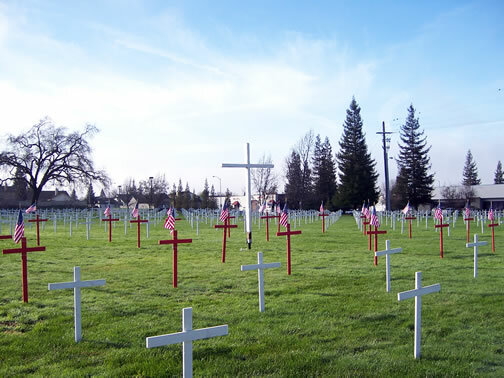 There are 24 red crosses that represent the 1.2 million war deaths (since 1776 to present time) and 920 white crosses that represent the 46 million children that abortion has taken in 33 years. 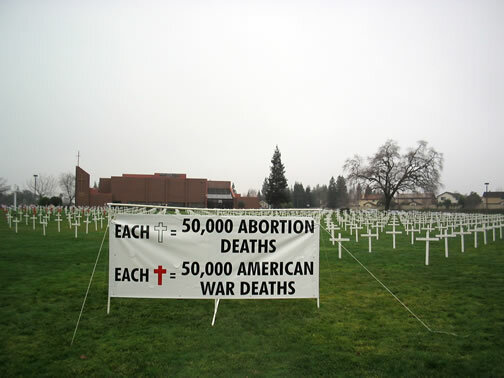 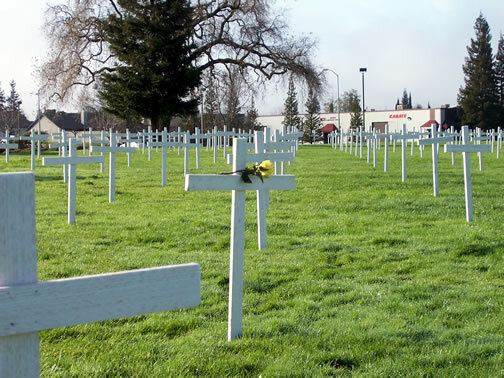 We did the Field of Crosses for two reasons: (1) to show the enormity of abortion and (2) to create a place of healing. 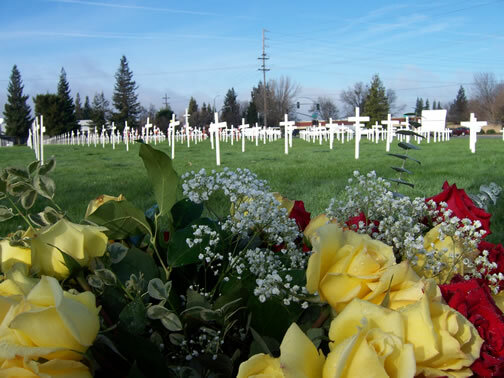 There are millions of children who have never been mourned." 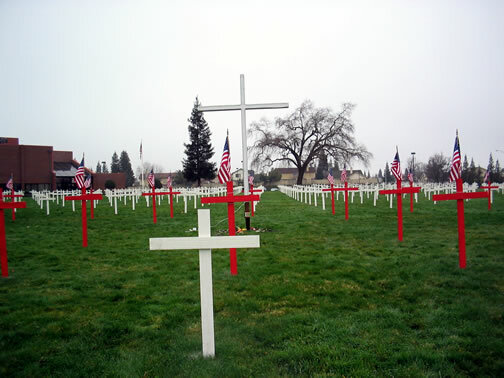 Thank you Pastor Jim for sharing this important memorial with us!